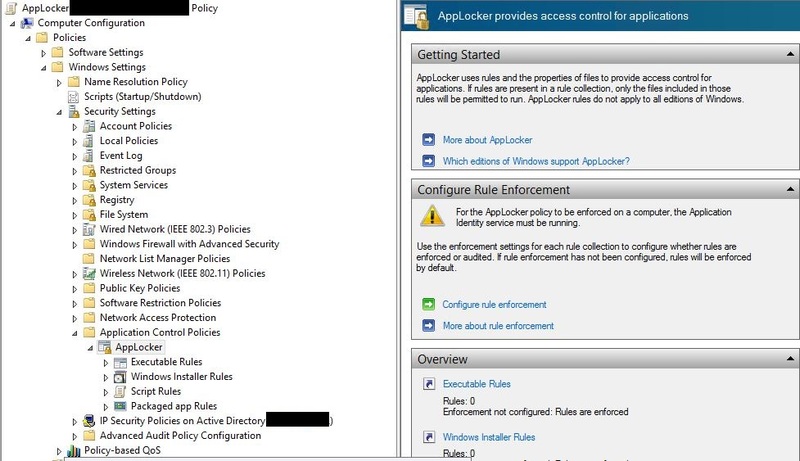 Application Control or AppLocker Policies – In simple words, they are used to Audit and control Applications, scripts and packages execution. They are extremely critical when you have large number of users making changed to the environment and you would want to Audit what occurred where, when, on which system and most importantly by Who? When you have such large number of Audit Logs, you could also leverage existing monitoring tools like SCOM (ACS) or other event viewer monitor to trigger necessary actions, and update the concerned team accordingly. 1. 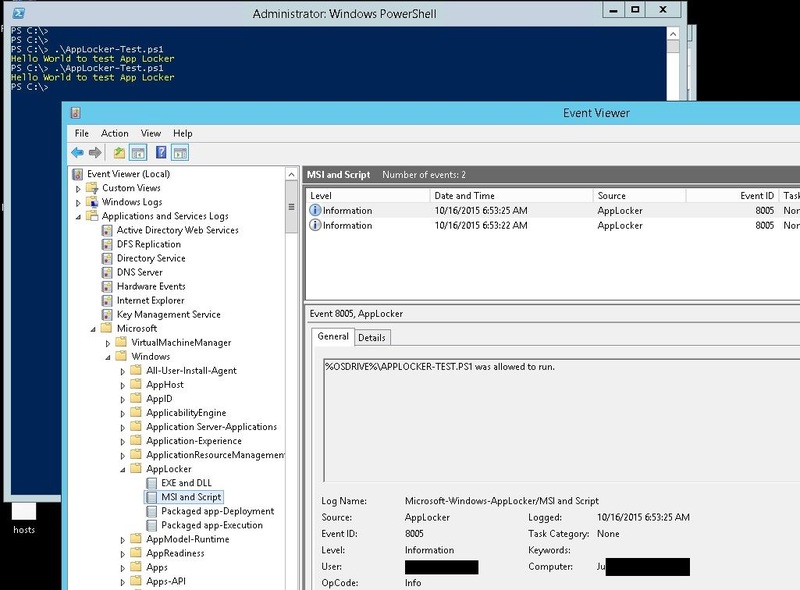 Login to Domain Controller, launch Group Policy Management Console. 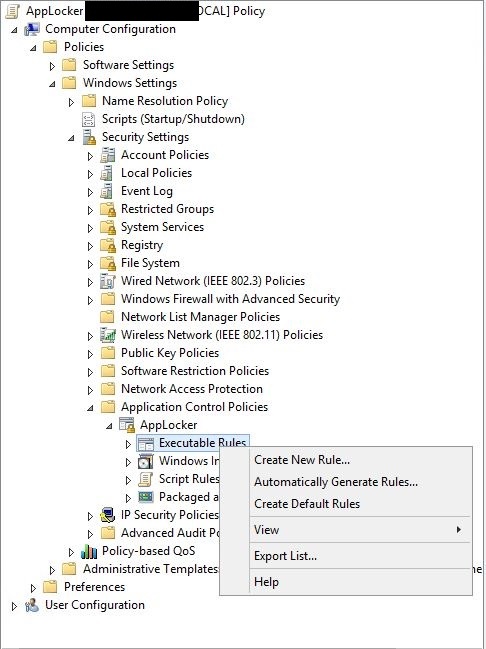 Create a new Group Policy. 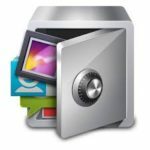 I have created a new Group Policy named – AppLocker for this post. 4. 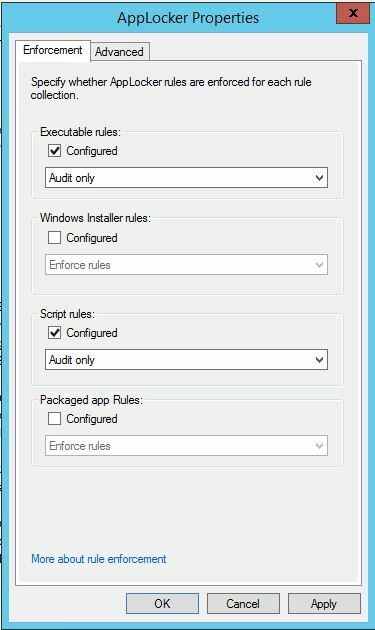 Once the policies are created, click on AppLocker and select “Configure rule enforcement” on the right hand side pane. 7. AppLocker also needs “Application Identity” service to be started. 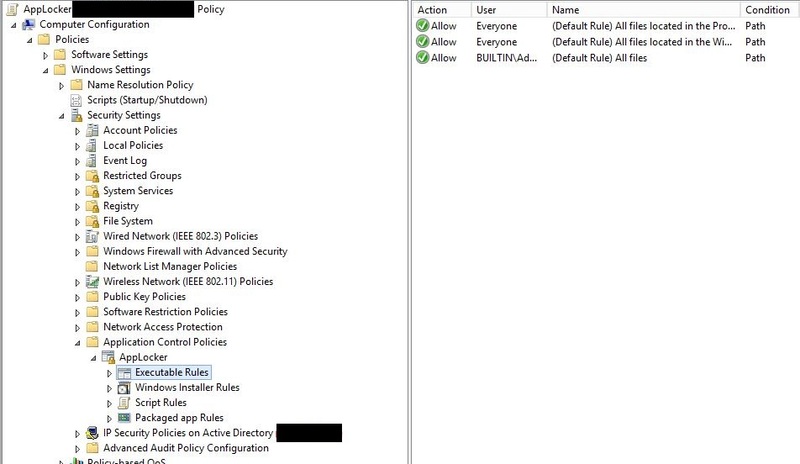 This service is set to Manual by default, it can be set to Automatic using Group Policy. Ensure that you keep this service running. 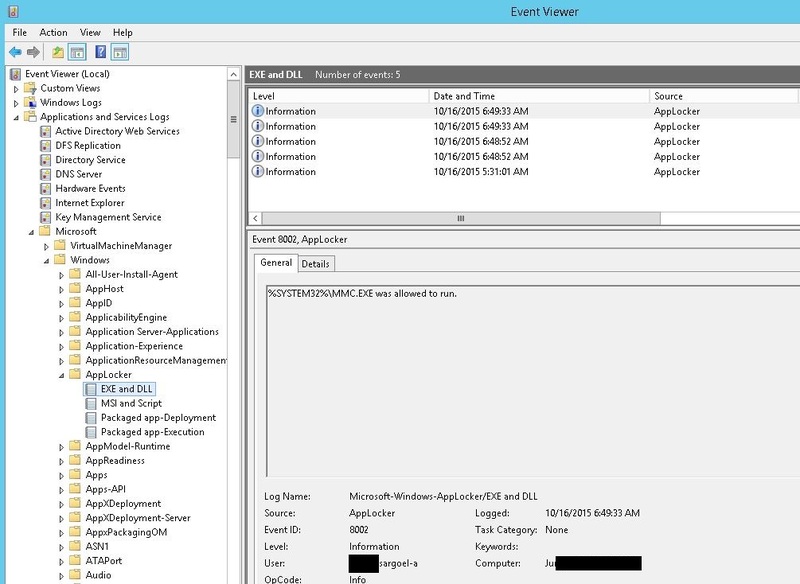 Now that we have Event Logs are being created, they can be easily tracked in any event log monitoring system or auditing tool such as Microsoft SCOM – ACS. Previous : How to connect to Azure Subscription?